I'm an unemployed college student with mounting real life expenses that I need to take care of any way I can. So here's a small auction. I'll be running this auction until Sunday, October 20th at 8:00pm BGG time, but if any bid is made near this time, I will extend the auction, and close it an hour after the last bid is made. In good condition, though the box shows shelfwear. It is missing the 7-E Tile, but it has a spare blank. Alternatively, there are a bunch of people who have parts for trade, and you should be able to get a replacement relatively easy. If you BiN Acquire, I will go to the trouble of replacing the 7-E tile. In great condition. Box shows some very light shelf wear, but all components excellent. In excellent condition. Complete, though the dice have gone missing. These are relatively easy to replace (Seven 12-sided, and one 20-sided). Please note, these have been integrated with the main set and no longer have their own boxes. 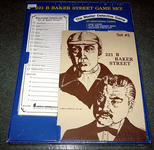 221b Baker Street: The Master Detective Game – Set #5 - New in shrink, though the tightness of the shrink has cause the back of the box to start caving in. Technically, all the components go in the main box anyway, but I feel you should be aware. 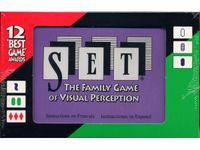 Cards still in shrink, and box in great condition. Partially unpunched, and in excellent condition. One corner of the box is split (and has been gingerly repaired). I should also note that the food chain reference cards are missing, but the list is in the instructions and pretty easy to access. This is open for bidding, but I will give this to the first person who wins another auction and requests it, if it hasn't received any bids at that point.